Our last day with the animals as we see this little shihtzu - she's called Praline - receiving her blessing. Notre dernière journée avec les animaux où nous voyons ce petit shihtzu - elle s'appelle Praline - recevant sa bénédiction. I've wondered exactly what the effect of blessing an animal might be. Our Episcopal cathedral does this every year (inside the church) and they usually invite me to shoot it. Who benefits, and in what way? 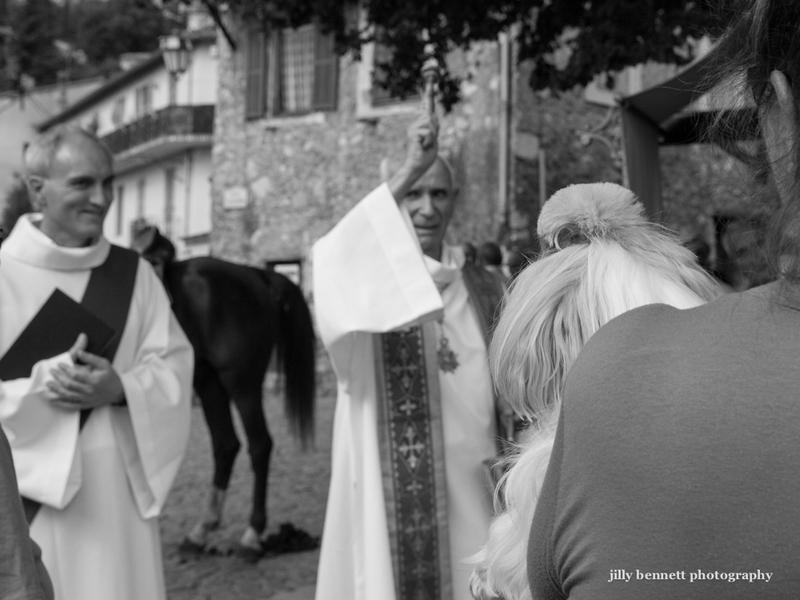 Bob, If the owners of the animals are people of faith, then they benefit as they believe the blessing will protect the health and well-being of their much loved pets. To many people dogs and cats are their children. It's like anyone going to church to pray for the health or recovery of a family member. In my village, certainly, many people are devout Catholics. Flamenco in Gorbio! - José Carmona El Rapico! Weekend Africain - the Guns!